The Village Docks A & C provide boaters with both overnight and transient docking on Put-in-Bay. Their location in the heart of the downtown area make them convenient for accessing the majority of the attractions, dining and shopping opportunities. Alongside Bayview Avenue resides these docks. The Jet Express port is just a few steps away. Also, the Boathouse Bar and Grille and Boardwalk Restaurant are a scenic stroll away. Boaters can take advantage of the wonderful features. These include water, full electric and high speed internet. Additionally, the Village Bath House is available for showering and restrooms. This facility is across the street in DeRivera Park. Furthermore, this park was a gift to the island by its founder Jose DeRivera. Here, a variety of activities are available. First, there are multiple playgrounds that are sure to delight the younger guests. Secondly, the built in grills and picnic tables provide an excellent place for a waterfront lunch. Alos, for special occasions such as weddings, the central gazebo is charming. Lastly, the vibrant Put-in-Bay scene is very accessible by the walkways that traverse the park. 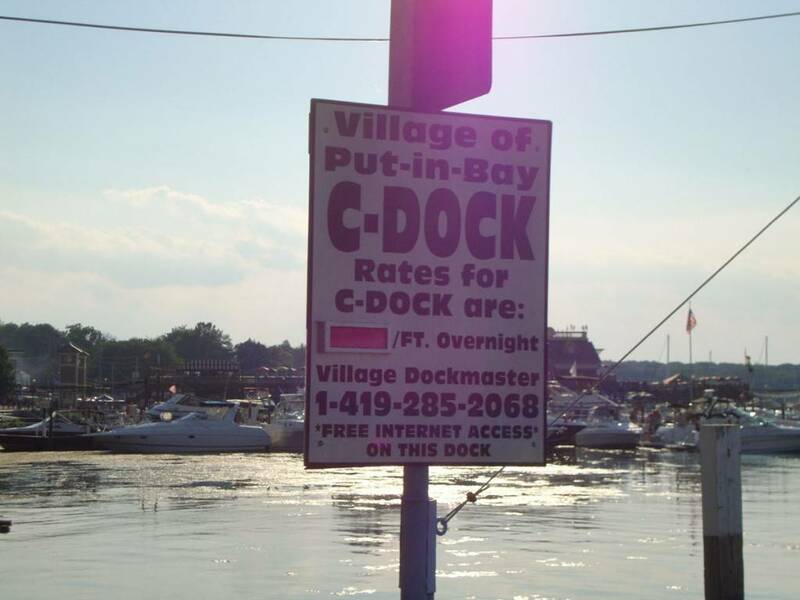 So, for prime location and excellent offerings, the Village Docks have it covered. Access is easy both to the docks and the exciting Put-in-Bay area. Take safe harbor at one of Lake Erie’s premier public docks. Also, set your watch to island time!